A prince (Academy Award® winner Christian Bale, “The Dark Knight”) discovers the real chain of events behind the murder of his father (Oscar® nominee Tom Wilkinson, “In The Bedroom”). Fueled by passion and betrayal, he devises a plan to avenge his father’s death and regain his rightful throne. But as his merciless plot unfolds, his intentions become unclear and in a swirl of unforgettable events, the prince’s actions blur the line between vengeance and insanity. 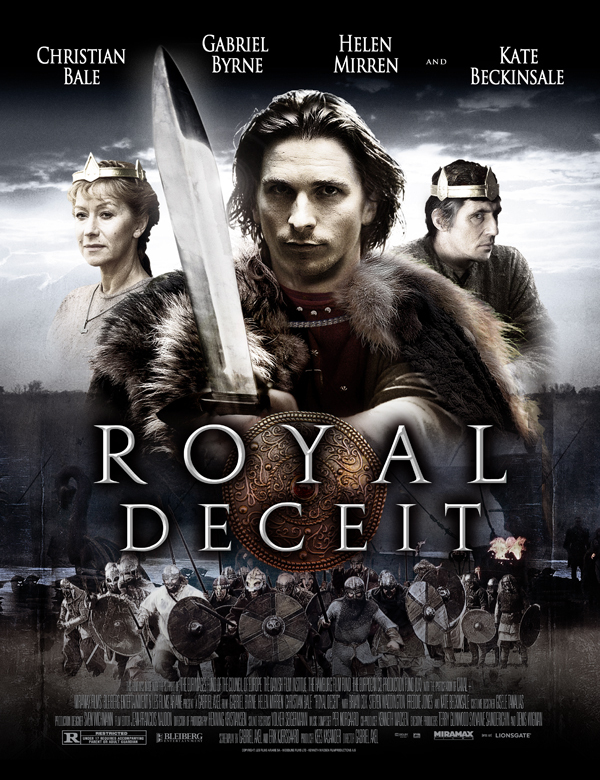 From Gabriel Axel, director of the Oscar®-winning “Babette’s Feast,” “Royal Deceit” also stars Academy Award® winner Helen Mirren (“The Queen”), Gabriel Byrne (“Hereditary”), Brian Cox (“X-Men”), Andy Serkis (“Lord of the Rings”) and Kate Beckinsale (“Underworld”).